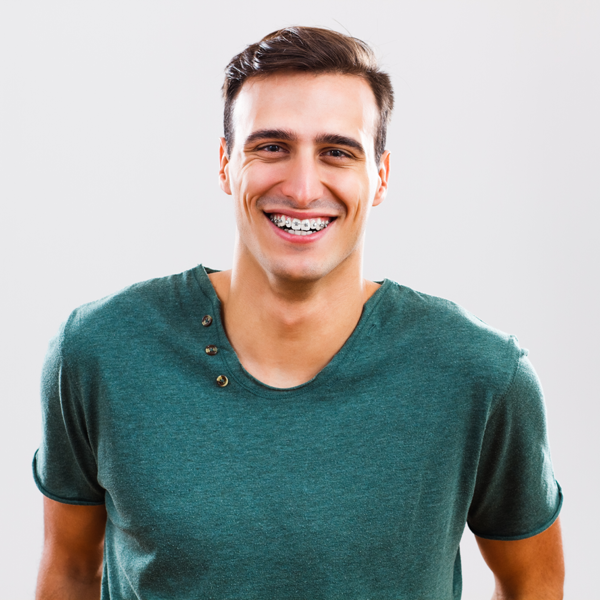 One of the main concerns of many patients living near Westminister, MA is how to avoid having bad breath while wearing braces. Westminister, MA, orthodontist, Dr. John Walker and the team at Walker Orthodontics stresses the importance of how good oral hygiene practices are an important part of your orthodontic treatment. However, braces can make brushing more difficult because food particles can stick to the brackets, wires make it hard to floss in between the teeth, and plaque can build up on the surface of the teeth. Keeping your teeth healthy and clean during your course of orthodontic treatment will help them settle into their new positions faster and easier. Brushing Your Teeth. This is a major part of good oral hygiene and keeping bad breath at bay. To effectively clean your teeth, mouth, and braces, first rinse your mouth out with water to dislodge any food in and around the braces. Dr. Walker says that when you then start brushing, use a fluoride toothpaste and brush the gumline at a 45-degree angle. Then, angle the brush downwards and cover the tops of each bracket, and angle it up to brush the bottoms of the brackets. Be sure to brush every tooth at the gumline, as well as above and below the brackets, and the tops and backs of the teeth. This will ensure that you’ve reached the maximum area of your teeth’s surfaces and will remove any plaque or food remnants. Walker Orthodontics recommends that even if your child has been brushing on their own, they may need help with brushing until they’re comfortable with this new routine. Flossing Your Teeth. Another good oral hygiene habit is flossing your teeth. The Academy of General Dentistry (AGD) avers that flossing is just as critical to good oral hygiene as brushing. Although the arch-wire running through your brackets makes this difficult, there are several methods that will help you. Dr. Walker says that one popular tool used for flossing is a floss pick. These are two-pronged and are small enough to fit under the wires to hold a section of floss between them. The opposite end has a pick that is useful to clean brackets or between teeth. Floss picks are available for both children and adults, and can be either reusable or single-use. Another tool commonly used is a floss threader; a thin piece of plastic with a loop at the end to hold the floss. Use a Fluoride Rinse. Another step that you can take, is to use a fluoride rinse that will clean out any remaining food particles and will also help to prevent bad breath. Swish the solution around in your mouth for thirty seconds and then spit it out into the sink. Try to refrain from eating for thirty minutes after rinsing just to make sure that your teeth remain clean.